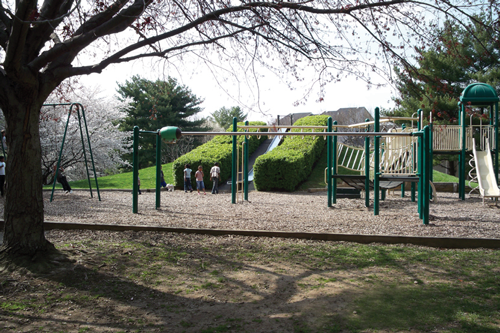 The Montgomery Village Foundation Department of Recreation and Parks is in the process of developing plans for the replacement of the playground at William Hurley Park, 20737 Highland Hall Drive. MVF staff is looking for residents who use the playground or are interested in offering input on the new equipment. The first meeting is scheduled for 6:30 p.m. on Tuesday, July 10 at the MVF Office, 10120 Apple Ridge Road. At this meeting, staff will be collecting ideas from residents about what type of play equipment they would like to see in the new playground. The information gathered at this meeting will be used to assist in the creation of the formal bid. Once contractors have submitted designs, another meeting will be held to gather resident input on the proposed designs.